Apply for the study day. The course is funded by the NHS Sickle Cell and Thalassaemia Screening Programme and is free to applicants. I have really enjoyed today. The programme was well thought out and the information was very clear. [I have] more awareness of the blood disorders and the importance of screening. I also feel more competent in giving results to parents and having the tools and knowledge to deliver this. I feel I have more understanding of the symptoms associated with sickle cell and beta thalassaemia; discussion around the importance of religious and cultural influences was valuable. 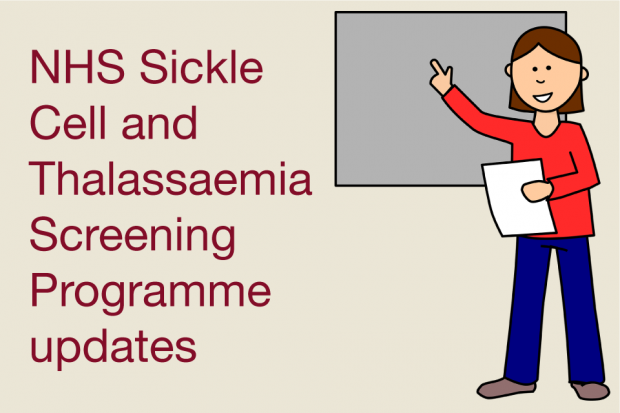 This one day update is targeted at practitioners who have previously undertaken the PEGASUS course or an alternative sickle cell and thalassaemia related module. Applicants must be responsible for counselling women and couples at risk of having an affected baby as part of the NHS Sickle Cell and Thalassaemia Screening Programme. This includes the offer of prenatal diagnosis and/or giving results to parent(s) who have given birth to an affected child. I have been on a number of screening study days and today’s presentation has surpassed all of those and my knowledge has greatly improved. [I am] more knowledgeable about haemoglobinopathies and appropriate ways of counselling. [This has helped my] discussions with parents. Being able to explain the difference between sickle cell carriers/disease. Importance of screening partners and encouraging this practice. Thanks Andrew, look forward to receiving the dates of the sessions. Any plans for haemoglobinopathy screening programme study days in the north of England please? There will be sessions in the north of England but the dates have not yet been agreed. We will publish dates via the PHE Screening blog and on the PHE website as soon as we get them from Kings College London.